At Bespoke we combine world-class products, professionalism and integrity with a level of customer service and support that is unique in the industry. And we offer this to everyone, there are no 'secret handshakes' here. 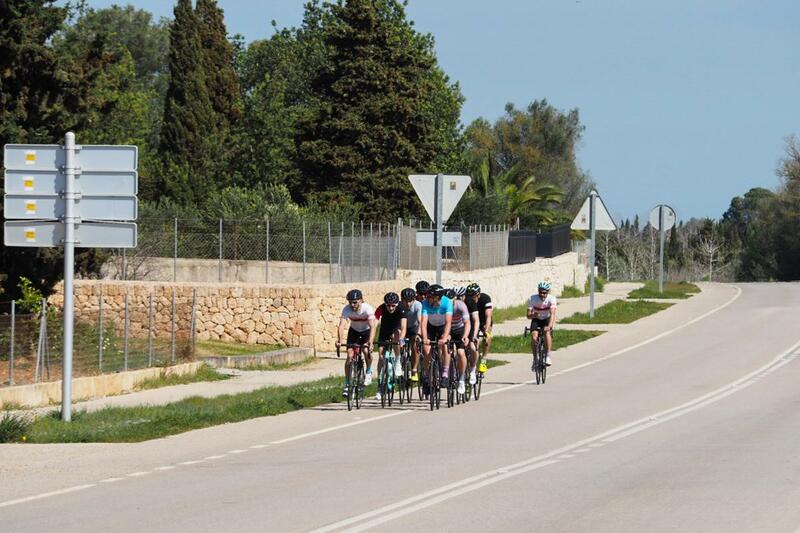 Whether you are a complete beginner, an experienced sportive rider, an elite road racer, a Pro Triathlete or a veteran of numerous Tour de France campaigns (and we have had all these categories in the shop, sometimes at the same time) we would love to help make your cycling dreams a reality. Correct fit is at the heart of everything we do; a bike fit session, all necessary parts and adjustments, all included in the price. Unrivalled pre-purchase advice and after-care. Our bike fitters, mechanics and shop staff are experts in their field, working daily with the finest gear. We sell you the bike that fits you best, not simply what we have in stock. 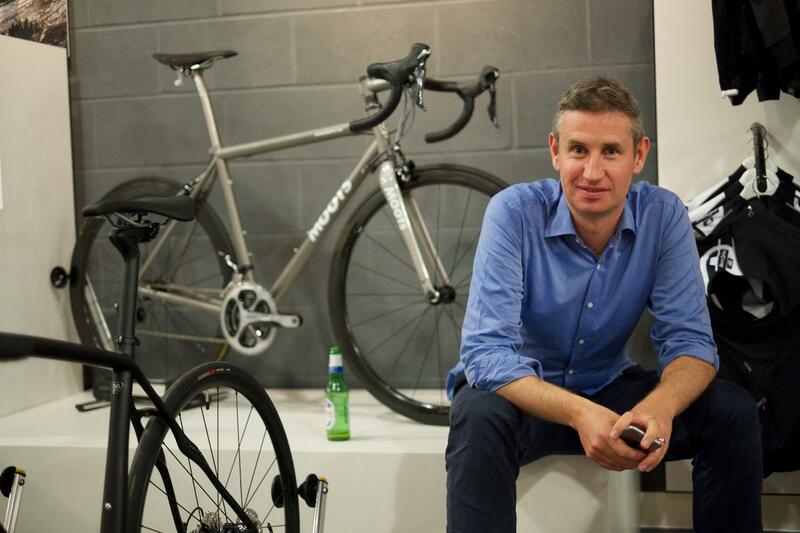 I founded Bespoke 10 years ago because I had a very personal frustration with the ways bikes were bought and sold. The traditional model is that bike shops are encouraged by manufacturers to make one huge annual pre-order, with all sorts of incentives to 'blind buy'. The terms they get on these bikes are attractive, but it creates an inherent conflict and tension between the shop and the customer; you are sold you what they have in stock (as depreciating inventory) instead of what you need. Bike shops focus solely on the products (i.e. 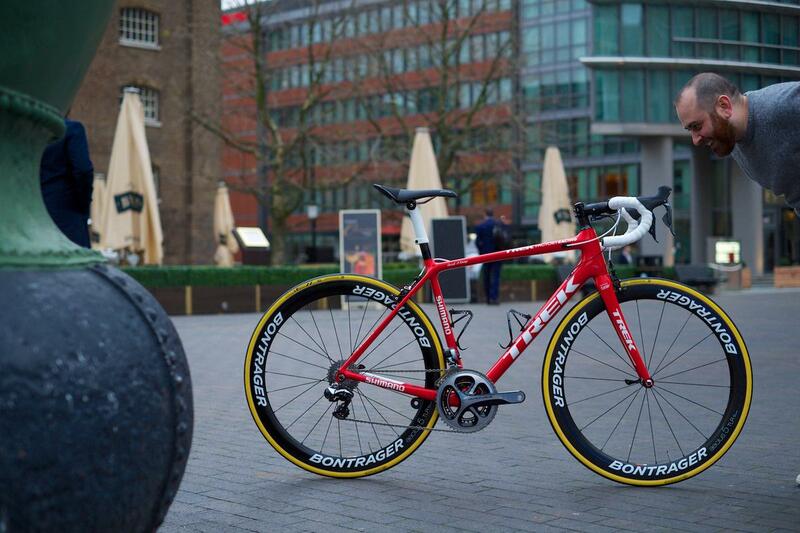 how light this frame is, their colours and specs) and not the rider (your personal contact points, the types of rides you do, any injuries we need to account for). I felt the existing approach was wrong, and was sure others felt the same as me. So I created Bespoke to address this - in many ways Bespoke is very easy to run because I am its target customer! I would only learn many years later, that a marketer would call this a 'Challenger story' - we were wanting to challenge and change the status quo. We had a missionary zeal to flip the model on its head and put the rider at the forefront of every decision. Ten years on, we are still evangelical about looking after clients 'the right way'. Cycling is booming, but we have a duty of care to make sure people who come into the sport enjoy it and realise their maximum potential. Discomfort on a bike is not normal or acceptable. Aches and pains do not need to be endured. Buying a bike without getting a bike fit is wrong - I cannot believe bike shops sell bikes without a fit. Paying for a fitting, when it should be free as part of the bike purchase, is wrong. Having to buy additional contact points (bars, stem, etc.) to make your new bike fit you perfectly from the very beginning is wrong. What perks do we offer our customers? We work with the very best brands in the world, and are a flagship dealer for most of them. With the brands we've chosen we also insist on a relationship with their Global HQ, and the product designers who create the products we sell. This gives us an unrivalled insight into the performance and features of each and every product. And that's information we don't jealously hoard, but instead are delighted to share with our customers to help them make the best decisions for them. When you collect your bike we spend a final 1hr with you and your bike in the fit room making sure the bike is perfect. Combined, the bike fit and follow up fit have a retail value of £400. On a £3000 bike that's a 13% saving on bike purchase price. Parts are swapped FOC on a new bike purchase. On a £2500 bike, around £150 of parts could be swapped - that's a 6% saving. 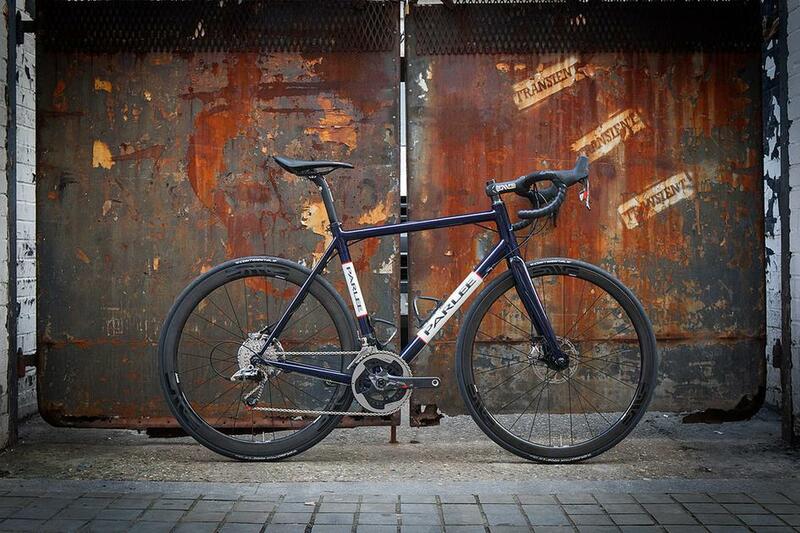 Free build: If you buy parts from us, a service, bike build, or installation (as applicable) is FOC. Free initial service post purchase. Priority appointments for bike servicing. Quick tune ups done free of charge: You have a big event on the weekend and have noticed that your gears are rubbing, or the brakes need adjusting, bring it down and we will sort it for you! These quick tune-ups are FOC to Bespoke customers. 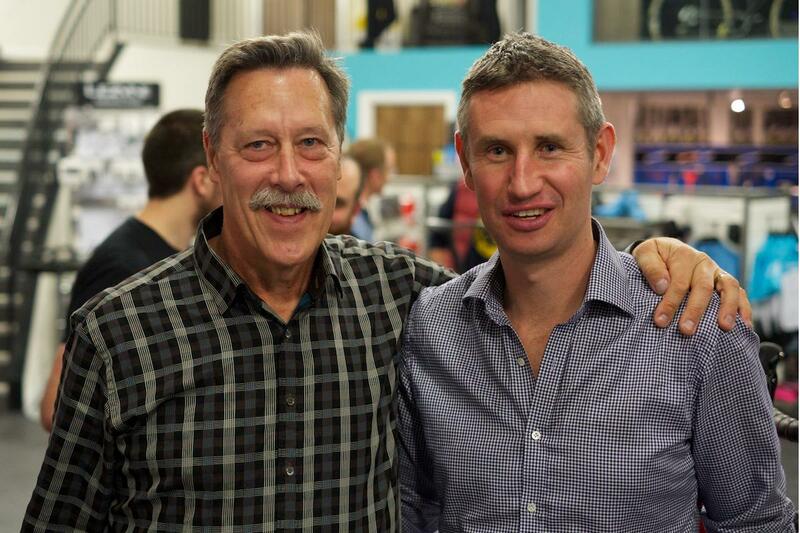 One tangible perk of our flagship store status is that we regularly hold events - be it a talk from a frame builder or Olympian, or an evening preparing for the sportive season. These talks are booked up quickly. Bespoke customers get priority. Cycling in the Dolomites, the Alps and Mallorca is better than cycling in London. Fact. Our trips go to the various cycling meccas. To keep the quality and intimacy up, our group sizes are limited. Bespoke customers get access to trips first. We genuinely want this to be a long-term relationship. We are not here for a quick, transactional sale. The bike purchase is the start, and not the end, of our journey together. Ride, ride some more and do yet more riding. Cycling is a wonderful egalitarian sport. The more you put in, the more you get out. We ride all the time – road racing, Euro Sportives, downhill MTB, Triathlon, Track days, TTs and epic gravel trips. We ride what we sell; we only sell the products that we truly believe in. We don’t have a marketing budget. We don’t really advertise. The vast majority of our business is from word of mouth and repeat business. We are very proud, and fiercely protective of our relationship with our clients and evangelical about what we do. We have constantly been at the cutting edge of fitting technology, and have a long pedigree in working with small challenger brands who later become world leaders. We are constantly looking to better ourselves and then share this learning with our clients.